Want to guarantee the best experience for your couples? Our team of professionals will be happy to assist you! At Vinty, we do everything to ensure that our professional partners get all the support they need. 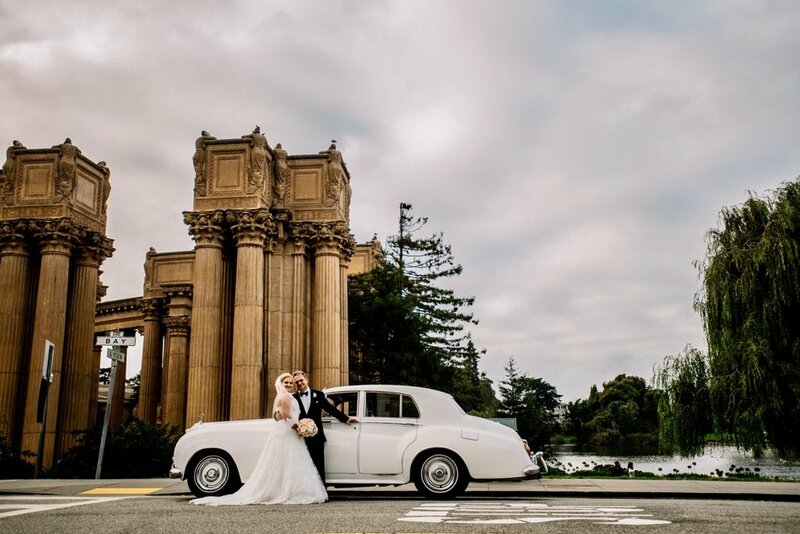 We will assist you and your couples from car selection through their big day. Contact us to learn more about our services and work with a reliable and trustworthy partner! With iconic locations and venues, it’s easy to see why Downtown Los Angeles has become one of the most popular wedding hotspots in Southern California. 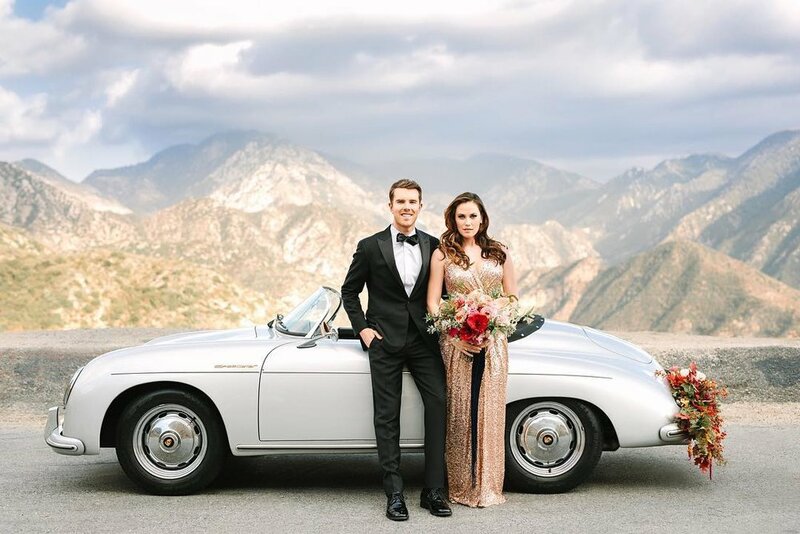 We have created a collection of wedding car rentals in 3-hour and 5-hour packages that all fall under the same price for wedding events in the Downtown Los Angeles area. Orange County is one of the top wedding locations in California and offers beautiful venues and scenery along the Southern California coast in popular cities like Newport Beach, Laguna Beach, and Dana Point. 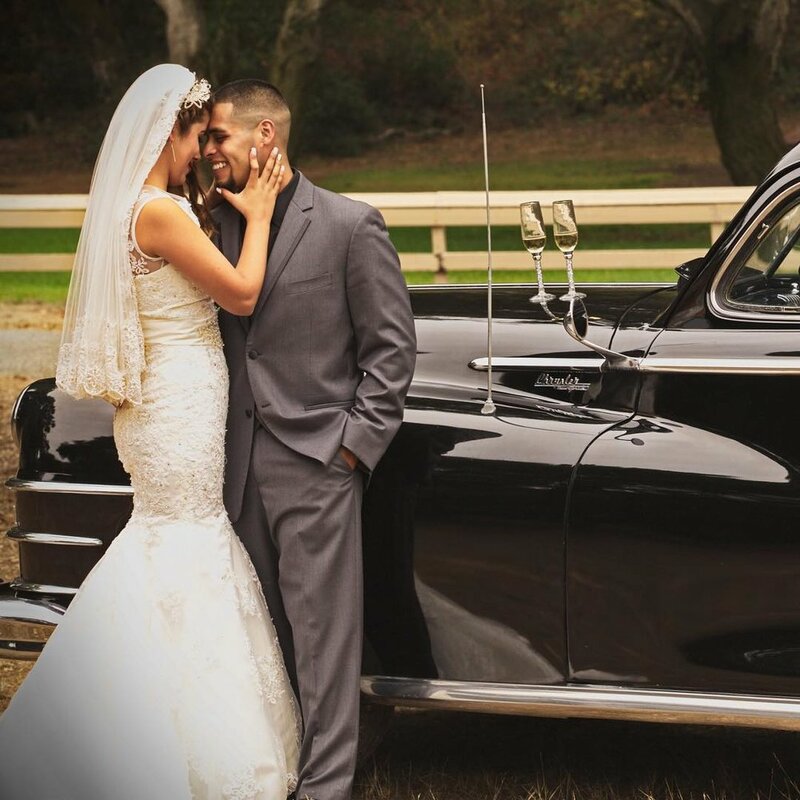 We have created a collection of wedding car rentals in 3-hour and 5-hour packages that all fall under the same price for wedding events in the Orange County area. Classic Wedding cars will make your wedding stand out! You are ready for your wedding ceremony, you walk out of the hotel and a beautiful 1958 Rolls-Royce Silver Cloud is waiting for you at the door, beaming in the sunlight. Your wedding vehicle is waiting for you, he opens the door and you are on to your magical day in the best possible way...that sounds pretty good, right? We tend to agree. Vintage wedding cars for wedding and special events are the ultimate way to put the final touch on your special occasion. Who hasn’t dreamed of sitting in the back of a vintage Rolls-Royce, Bentley, Jaguar, or Cadillac on one of the most important days in your life? Not into classic wedding cars? Many options are available. Want to make a unique impression and spice it up a bit? We understand that you might not be into those iconic classic wedding cars, that’s why we offer many other options! Now, it’s only up to you to decide which flavor you want...be a president in a Lincoln Continental, a rock star in a 60’s Ford Mustang, or a rebel in a Pontiac GTO...you decide which classic car rental experience you want and we will arrange it for you. Self-drive car rentals for weddings and special events. This might be a special day, but it does not mean that you can’t have a little bit of fun... Why not drive the classic car yourself! We understand how busy you will be that day so let us organize the delivery and return of the car for you. What is left for you to do? ...Just enjoy the experience! Browse our selection of self-drive classic cars and pick the one you fancy.